Turn your bath into goo with Gelli Bath! 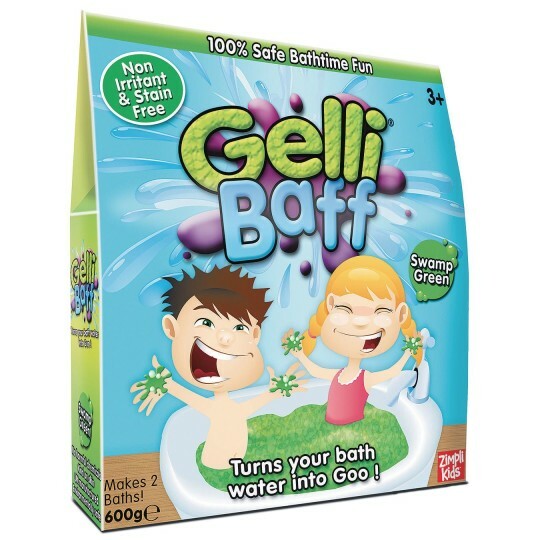 Ideal for paddling pools , sensory trays, water tables, and bath time, Gelli Baff turns water into goo, and back again! Simply run your bath, add Gelli Baff and watch in amazement as your boring bath water magically turns into a brightly colored thick goo! When the fun’s all done, simply add the sachet of dissolver powder and the goo disappears as magically as it appeared. 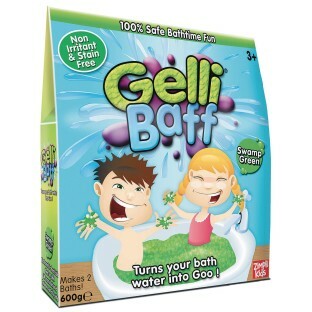 As well as fun, Gelli Baff also cleans and softens the skin! The formula is stain free, non-irritant, and environmentally safe. Assorted colors will vary. Enough for approximately 2 average 6CM deep baths worth.